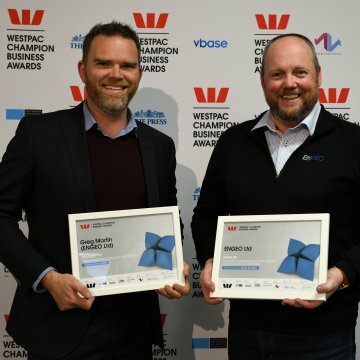 On the 8th of August it was announced that ENGEO were finalists in two categories for the 2018 Westpac Champion Business Awards, in Christchurch. The event was a great night celebrating all the awards finalists. With more than 150 entries submitted across 13 categories, making it through to the final 39 is a huge achievement. Greg Martin was announced as one of three finalists in the MYOB Champion Emerging Leader category and ENGEO were included as finalists in the Bayley’s’ Champion Service Delivery. The overall winners are announced at a black tie event on September 19th.